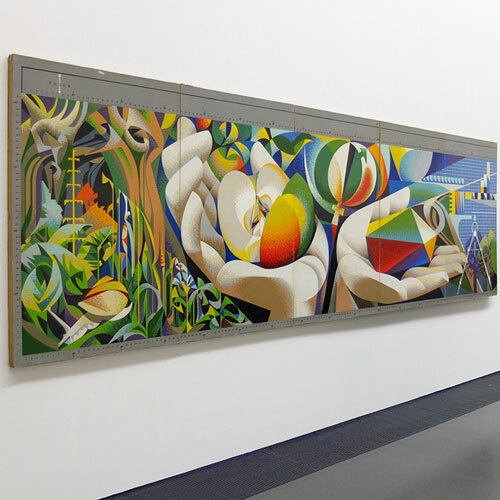 from 1984 to 2012 the mosaic mural “the humankind and its relationship to the technology and the nature” has imprinted the community centre in the north of erfurt. renau’s last and some says most important mural will be rebuild by massiv support of the wüstenrot stiftung in the end of the summer, mounted on a seperate wall free of any building. this exhibition at the angermuseum displays the history of origin and the project of reconstruction. it will run until 28th of may.